Get excited, everyone -- we have a new Magpie of the Month! 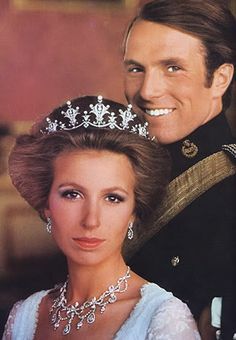 The Princess Royal gets a lot of flack for keeping the same hairstyle since the '70s and wearing decades-old clothes, but her jewelry collection often doesn't get enough attention at all. 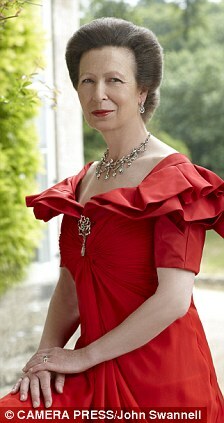 The daughter of a reigning queen, Anne has inherited jewels from the British royal family as well as from her father's Greek and German royal relatives. Today's piece is a gift from her parents: her diamond festoon necklace. 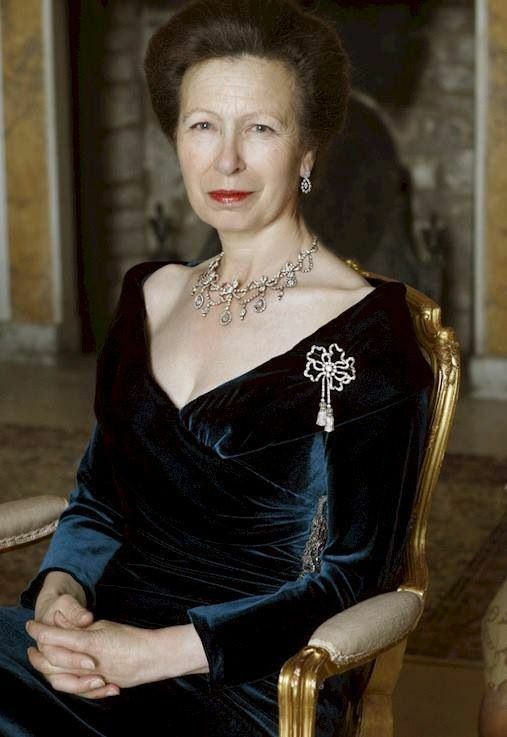 According to Leslie Field, this necklace was an eighteenth birthday present to Anne from her parents, Queen Elizabeth II and the Duke of Edinburgh. Field describes the necklace as "an antique diamond festoon necklace with ribbons and bows, and pendant drops." Some have suggested in the past that the necklace was remade from one that belonged to Queen Alexandra; however, most sources state that Elizabeth and Philip purchased the necklace themselves. Along with the necklace, Field states that Anne received a coordinating pair of diamond pendant earrings from her parents. And the earrings have also had one more very significant outing: Anne's daughter, Zara, wore them on her wedding day in 2011 (along with a tiara that had belonged to Prince Philip's mother, Alice of Battenberg).